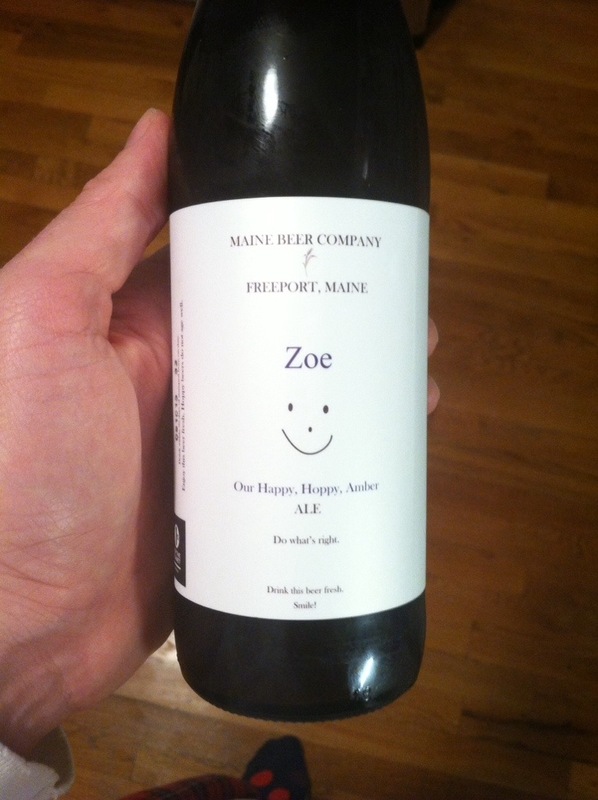 Absolutely love Maine Beer – Lunch is impossible to find. So we are always looking for a reason to fill our yard with people, and feed them. This year we went with an Oktoberfest celebration. Many friends with their kids were invited. We rented a bouncy house for the kids, and started planning this party. 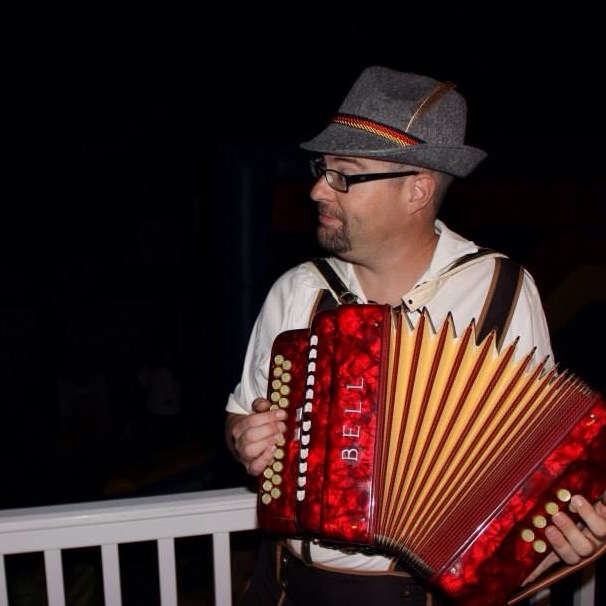 We were dressed in appropriate garb – I was shocked at how comfortable the lederhosen were ! It was really a blast. And we had two kegs on tap to offer: Harpoon Oktoberfest (http://www.harpoonbrewery.com/beer/13/Octoberfest) & a non-Oktoberfest beer, but one that I am quite fond of, Jack’s Abby Hoponius Union (http://jacksabbybrewing.com/). Both are local beers, both made within 20 miles of our house. Both are ridiculously fantastic. Heat water, red wine, cider vinegar, onion, cloves, bay leaves, salt, pepper, juniper berries/gin and mustard seeds in a saucepan over medium high heat. Cover and bring to a boil, then lower the heat and simmer for 10 minutes. Allow marinade to cool and pour into a resealable plastic bag. Season the beef with salt and pepper, and then add to bag, squeeze out excess air, and seal it. Marinate in the refrigerator 2 to 3 days, turning the roast twice a day. After 3 days, place the roast from the marinade, and put in slow cooker. Add onions, carrots, celery and marinade in on top of the roast. Cover and cook roast on Low for 8 hours. Turn slow cooker off. Transfer roast to a cutting board and cover with aluminum foil. Strain cooking liquid into a saucepan on medium-high heat. This cooking liquid will become the gravy. Crush up the gingersnaps and slowly whisk them into the pan, until thickened to your desired level. Slice the meat, plate it, and pour theg ravy over it. NOTE: I sliced the meat, put it back into the slow cooker, poured the gravy on top, put it back on low for a bit to keep it warm and then brought the removable dish to the table. Easy easy. All you need is time. The sauerbraten went quickly. People were taking the rolls for the wursts, and putting sauerbraten in, with some of the blaukraut – it was a great combo. I can’t thank Karl’s Sausage Kitchen (http://www.karlssausage.com/) in Peabody for the amazing wursts. They were made on Wednesday, shipped on Thursday and we received them on Friday. While Peabody isn’t that far away, with work and kids, the opportunity to drive to Peabody and peruse and buy and come home was WELL worth the $12 fee for overnighting the sausages to my haus. Granted, that is the price for in-state, but still was truly a blessing and time saver. The person that I spoke with on the telephone helped me narrow down what I was going to get, helped plan the menu with me, and was frankly wonderful. Can’t wait for the holidays to get all the Swedish sausages that they make. We had a great group of people, ages ranged from 5 weeks to “over 40.” One of our friends mentioned to his neighbor that he was going to an Oktoberfest celebration, and his neighbor told him of his time spent in Germany, and wondered if there was any way he could join us. Hey – the more the merrier ! So the neighbor and his family joined us, and he made a large portion of German Potato Salad that was and continues to be delicious. The first guests showed up around 2pm, and the last guests departed at around 9:30pm. 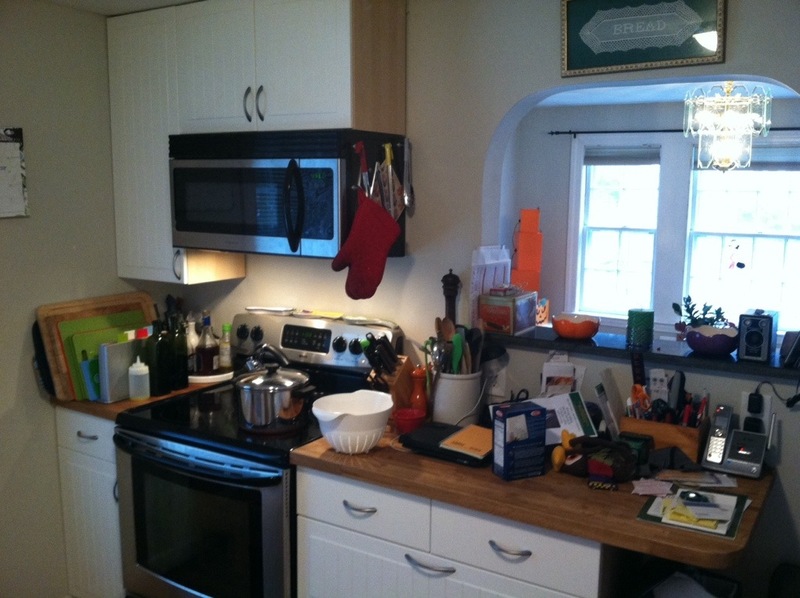 It was a wonderful way to spend a Saturday, with friends, family and authentic German cooking. 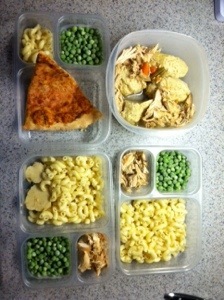 Just a quick shot of today’s lunches for the kids. Slipping some matzo balls into one lunch – see how that goes. My lunch is the rest of the matzo balls and the delicious soup that goes with it ! 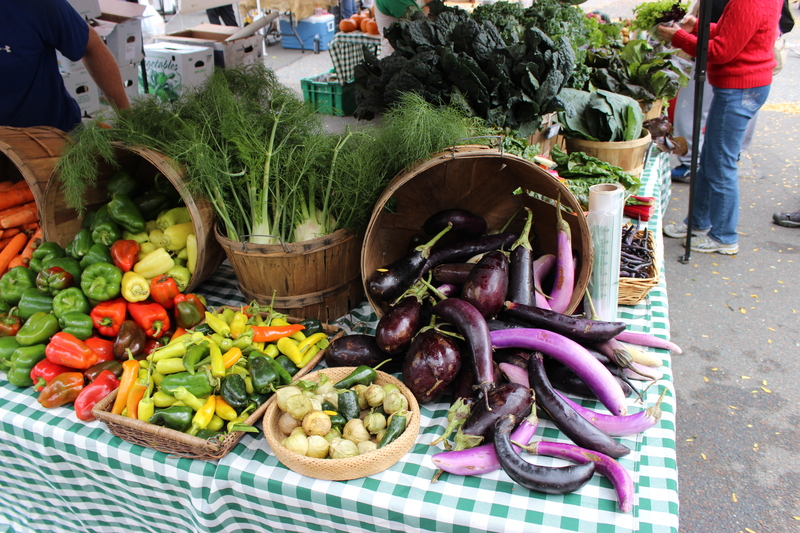 I always love going to the Waltham Farmers’ Market on Saturday mornings. Depending on schedules (swim, dance) I usually have one of my children with me. Today I was solo ! I got to spend time talking to people, looking at beautiful fruits of labors, and relax. No chasing after kids, bribing with delicious donuts etc. 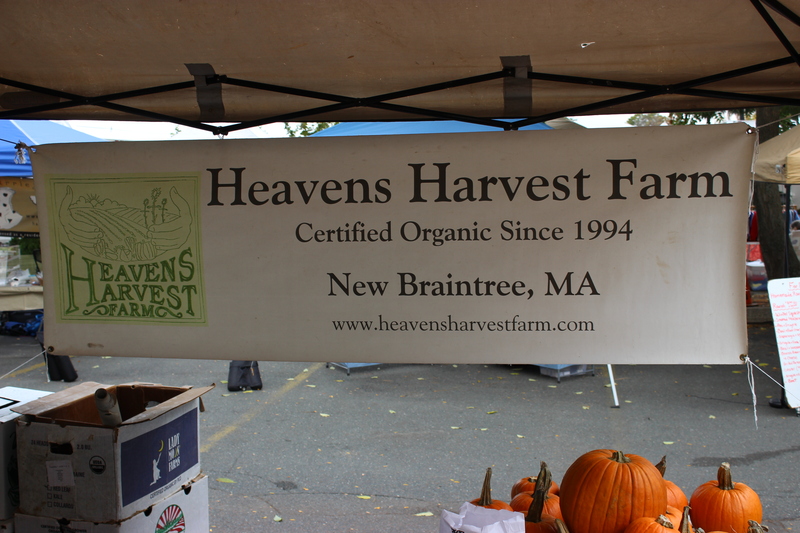 The first place I went to was Heavens Harvest Farm. 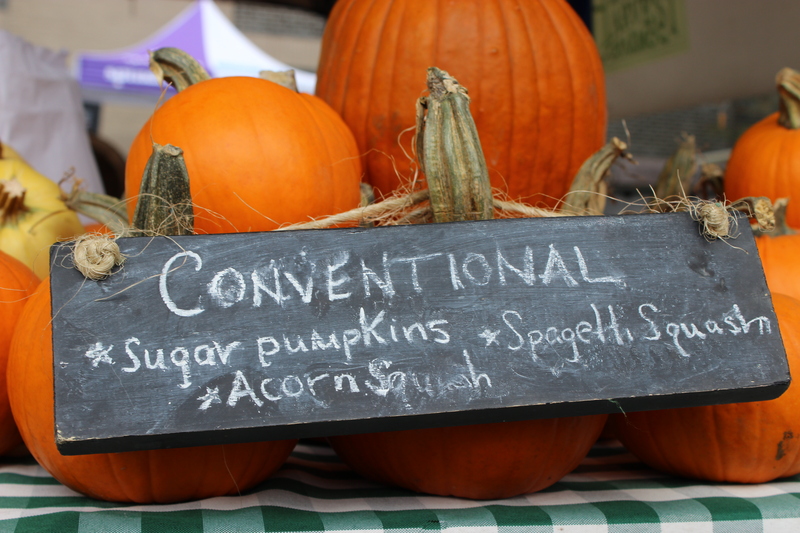 They have the pinnacle of what a farmers market should have – truly beautiful products. They are worthy of just being a picture in a frame on your wall; they are blessed with being so delicious and good for you at the same time as well as being visually inviting. I need to come up with a new category. Visual Umami ? Umami cubed? Regardless, I love their displays. The last time I brought my daughter, the swiss chard was gorgeous – groupings of leafy goodness – the colors were extraordinary. The oranges, yellows, reds…my daughter picked one out that was almost as big as she was. And sautéed with some of the great Spartan Pure olive oil and some sea salt….my wife and I ate it right out of the pan, standing around the stove. We just couldn’t wait! This week the selection was equally beautiful. 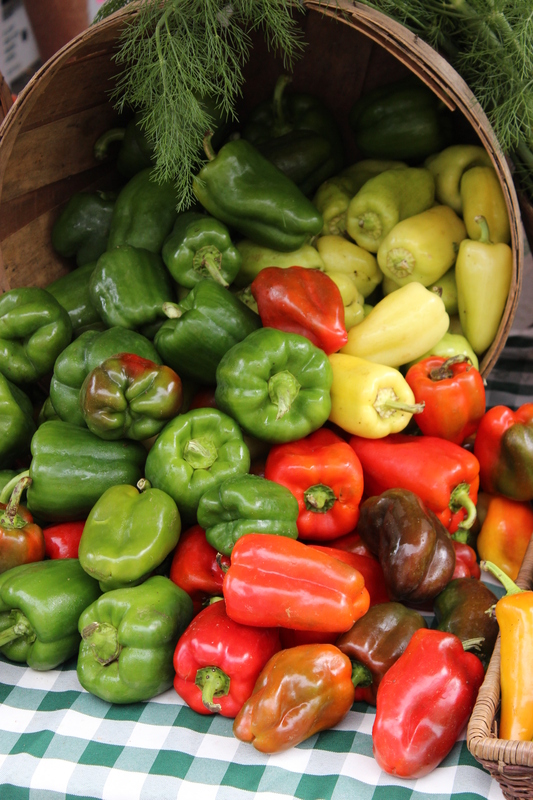 Squashes, apples, fennel, peppers, potatoes etc….all beautiful. 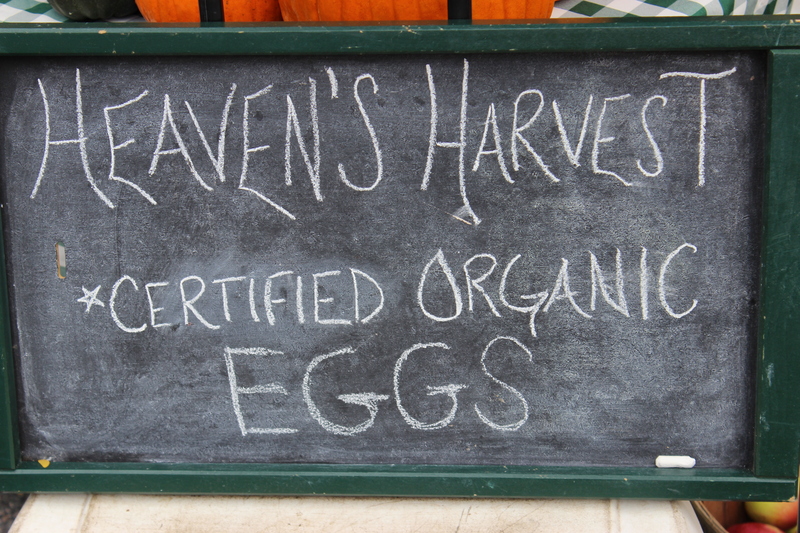 If you get the time to go to the farmers’ market, I highly recommend anything from Heavens Harvest. They are personable, funny and they think like you do – grow it safely so you can eat it safely. Seems like a perfect combo to me. If you forget to bring your own bags, they do supply them for you. Enjoy the pictures – I can’t wait to enjoy the fruit. A friend of mine at work is Greek. Our running joke has always been “so what are you cooking this weekend ?” George has family in Greece, and has visited them often. George appreciates true food, the connection between family and love and food. One day George asked me if I like olive oil. 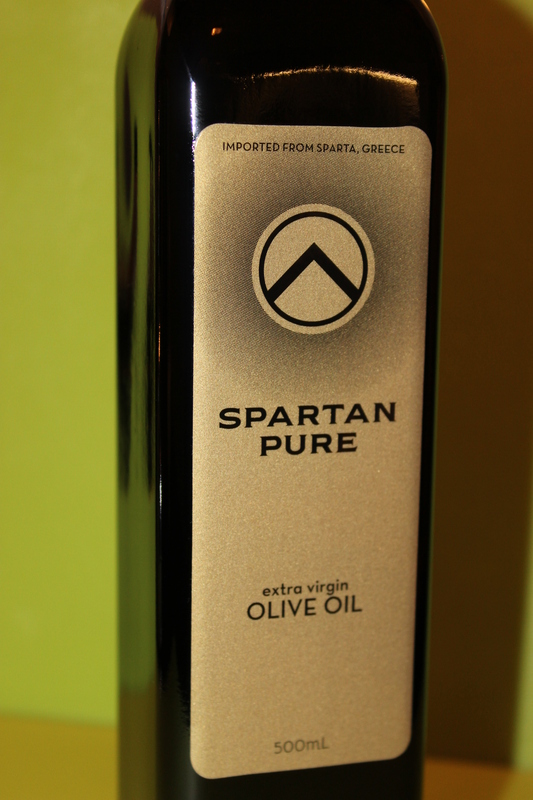 Long story short – George’s family lives in Sparta (which in and of itself is pretty cool), and they have olive groves. It is from his grandfathers small mountainside village that his cousins pick and press the olives into this surreal oil. I’ve been lucky to work in a gourmet food store that sold many different types of oils from around the world. I’ve eaten in restaurants around the world that have offered oils from different regions. I can say, hands down, that this is the best olive oil that I have had the fortune to consume. It is beautiful to look at, and even just tasted as an oil by itself, it leaves me wanting more. As I was taking pictures of this earlier, I took the spoon and tasted the oil – and it was an explosion of pepper and bite and brightness. Many oils are more oil than flavor, or they are such a sublime subtle flavor that whatever you put the oil on overpowers it. 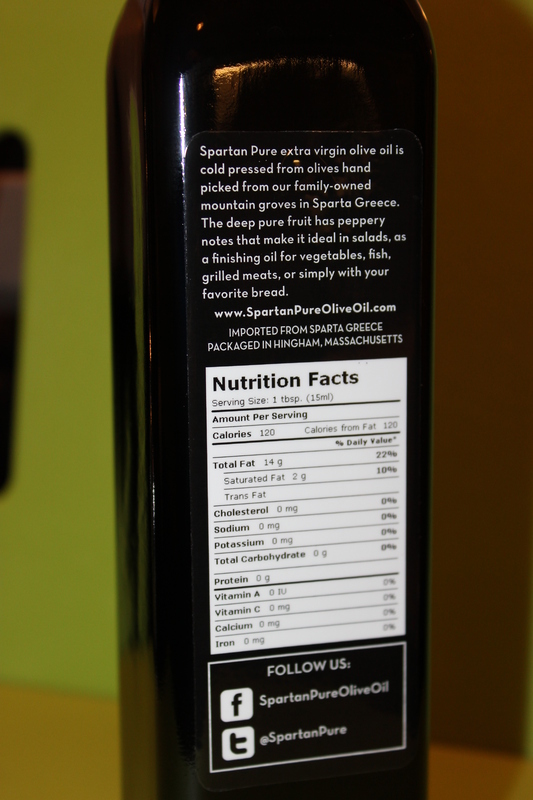 Spartan Pure is so different in that it truly compliments the food you pair it with. And that is the difference – this oil is paired with your food, instead of hiding with it. Before I met my wife, I ate avocados like a barbarian (tabasco and a little dollop of mayo). My wife showed me the path to enlightenment. Avocado with sea salt sprinkled over it, fill the gap left by the pit with a good olive oil, drizzle with fresh lemon juice, crack some pepper on top of it. I can tell you this – even with your normal extra virgin olive oil, this can be quite a tasty experience. The first time that we had avocados with Spartan Pure – it was beyond delicious. We were sitting around the dinner table with the kids. I had cooked a whole chicken, the kids were enjoying their chicken and pasta. Karin and I split an avocado, made her way (the only way!). The first bite of avocado with Spartan Pure was really incredible. You tasted the oil, the flavors worked in concert with the lemon and pepper; the smooth creaminess of the avocado complimented the roughness of the cracked pepper – the mouthfeel was awesome and the flavors danced together so well. Needless to say – we had another avocado, and then poured more olive oil on our plates and ate it with our chicken. The one thing that George told me, that I completely agree with, is this: this olive oil is made to be enjoyed. So we don’t just use it with avocados and bread but I use it in all of my cooking as well. 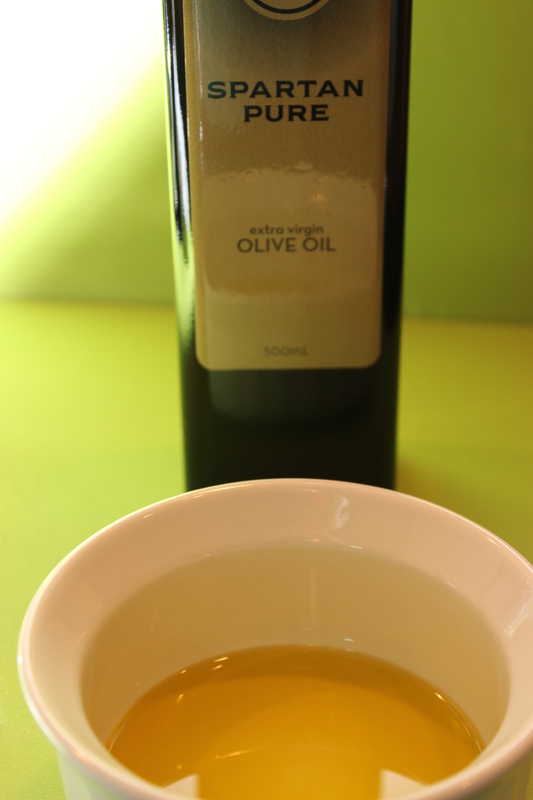 I know that olive oil is good for you – the right fats, and antioxidants. Those are the health benefits, but we enjoy this olive oil because it just tastes so real. It tastes like olive oil should taste. Because I love it so much, I have given bottles of it to my friends who appreciate great foods. This is not only a great food, but has such an awesome story behind it. And I think it is so great that George shares it with me, as he only imports a small amount of each year. 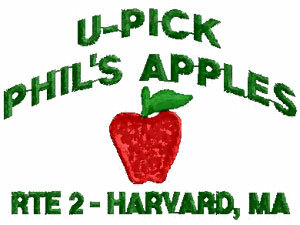 I just found out this morning from my cousin Ellie that her brother-in-law recently purchased Phil’s Apples in Harvard Mass. 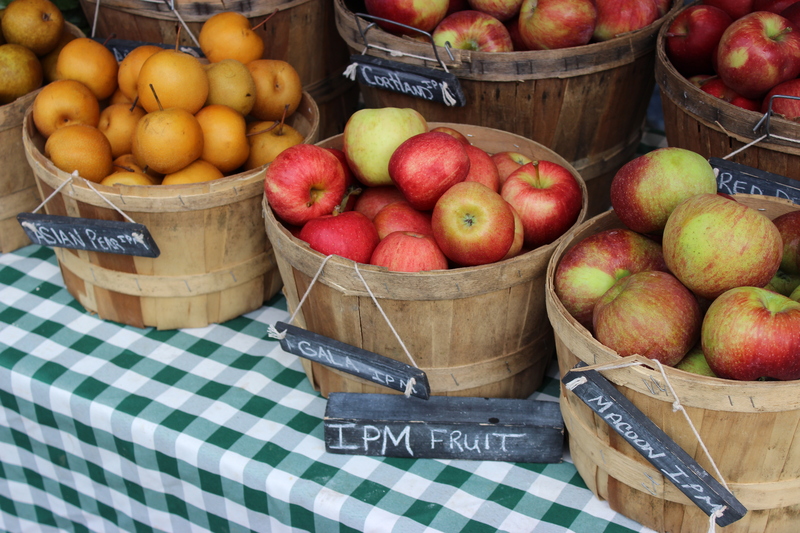 If you haven’t been apple picking yet, take a ride out this weekend and do some picking at Phil’s. Let me know if you’ve been there already.